Doctors recommend you drink about two liters of water each day. But how are you supposed to do that every day! Nobody has time to just pour back water. 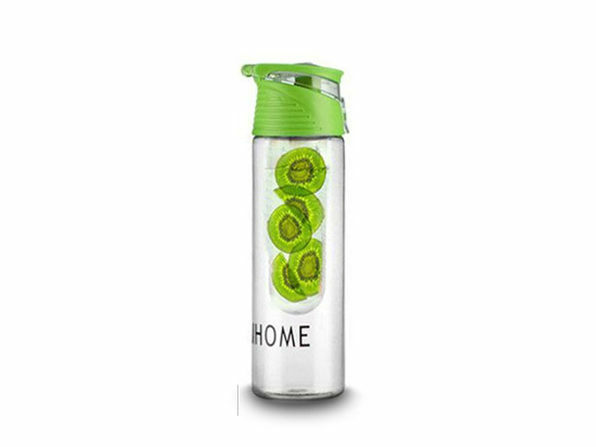 Well, it won't feel like so much of a chore with this fruit infusing water bottle. Just put a wedge or two of your favorite fruit into the middle capsule and your water will take on a deliciously fruity taste that will put the tasty back into staying healthy.